HEY LA! 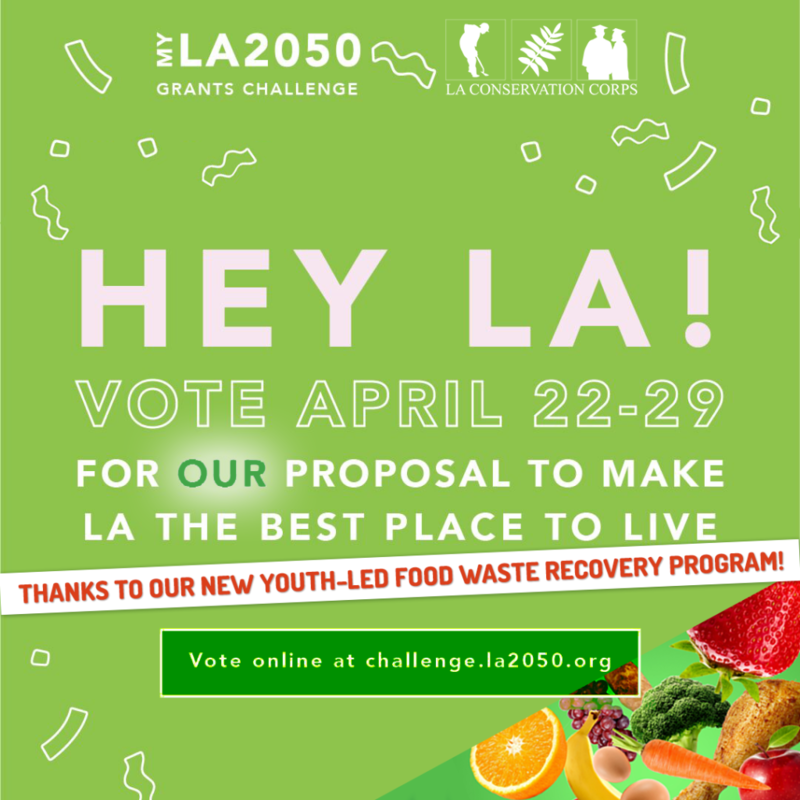 Please vote for our Corpsmembers, starting April 22nd, for our proposal to train more at-risk young adults to lead our new food waste recovery program! We’ve been operating a recycling program for more than 30 years to reduce consumer waste that goes to landfills. This past year, we launched a program to divert edible food surplus from landfills and put healthy food on the tables of people in need, as well as sending inedible food waste to composting or renewable energy generation in partnership with MEND Poverty. If we receive the most votes, we will receive additional support for the training and employment of at-risk young adults from disadvantaged communities to help with the food recovery collection! GET OUT THE VOTE APRIL 22-29! Please visit our link between April 22-29 and cast your vote. WE THANK YOU! Voting starts on Monday, April 22 at 9 am (Pacific), and closes Monday April 29th at 5pm (Pacific).